Why You Want Stone Panels and Not Actual Stone? Stone has always been preferred to add an aesthetic and grand touch to our interior as well as exterior walls. There is nothing as beautiful as traditional stones for our houses. However, the extra effort used when it comes to installing these and maintaining their value afterwards, becomes one tedious task! In that case, if we come across a substitute for traditional stones, which requires less maintenance, less effort in installing, and are far more better than actual stone in a lot of areas, who wouldn’t prefer these substitutes instead? 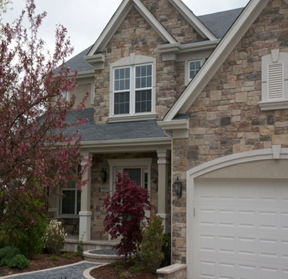 Stone panels act as convenient substitutes for actual traditional stones. Moreover, these stone panels mimic the unique texture of real stones with more additional advantages to go with. Let us show you why, these days, people prefer stone panels more than actual stone. Stone panels are much lighter than actual stones. That is because of the reinforcement of lighter weight aggregates in these panels, which make them easy to handle and also to install and repair. The lightness of these panels, in turn, gives rise to one more crucial advantage - durability. Especially the latest range of stone panels offers greater durability against external weather conditions, making them long lasting. Because of the aggregates of stone panels, these panels tend to be more durable without adding to the total weight, which makes them easy to install too. Furthermore, these are easy to install on any kind of surface like drywall, concrete, metal or wood. The install of these panels takes little effort when compared to the install of real stone. Stone panels are much cheaper than actual stone. In addition, the lightness of stone panels eliminates any additional charges for wall ties or footings. In turn, it makes them easier and cheaper to install. Stone panels, without compromising the original beauty of real stones, come in a variety of textures, colors, and shapes, which offers you more options for your house. These also come in many different patterns and designs for different individual preferences. Stones have a unique touch of natural beauty which makes them remarkably grandiose to look at. However, stone panels possess the same quality with more options in patterns, colors, shapes, and textures and at the same time, require less effort in installing and maintenance. The cheap cost of stone panels is just a bonus. These are a few reasons as to why, these days, people prefer stone panels over actual stone. Now, having understood the benefits of using stone panels on the interior or exterior of your house, you surely would want to look for trustworthy places to buy stone panels of your choice. Well, let us spare you that work too. mod-ified.com is the place for you. With a variety of options in stone panels, Quality Stone being one of them, you will not be disappointed with their service.